It’s really only been a few years since the social web has become ubiquitous, and the growing pains are still apparent in what has already become an all-too-familiar story: an employee mouths off about their job, are found out, and summarily dismissed. There are at least two sides in every conflict. In this particular kind of tension one can defend freedom of speech or the freedom to face consequences for that free speech—and few would argue that when you directly call out your employer online, you’re not asking for trouble. But what if you create a work related to your line of work without referencing your employer? Do you deserve to be fired for that? 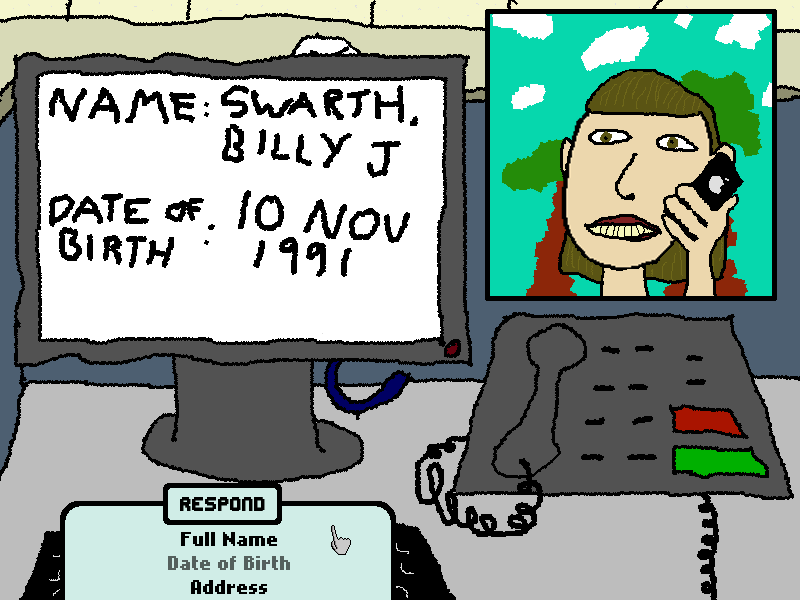 In December a Brampton man, David S. Gallant, released I Get This Call Every Day, a point-and-click game for PCs that he describes as a “personal tale of unwinnable realities.” In the game the player takes the role of a call centre employee trying to verify a caller’s details, trapped between the bureaucratic demands of a call centre script and (understandably) impatient customers. The unspoken inspiration for his game was Gallant’s day job at the Canada Revenue Agency’s call centre—unspoken, that is, until he was outed by the Toronto Star. After their article about his after-hours creative work, Gallant was fired. Some important points: I Get This Call Every Day features no references to the Canada Revenue Agency. There is one use of a (fake, eight digit) social insurance number to potentially locate the game within Canada, and one offhand reference to a tax return. 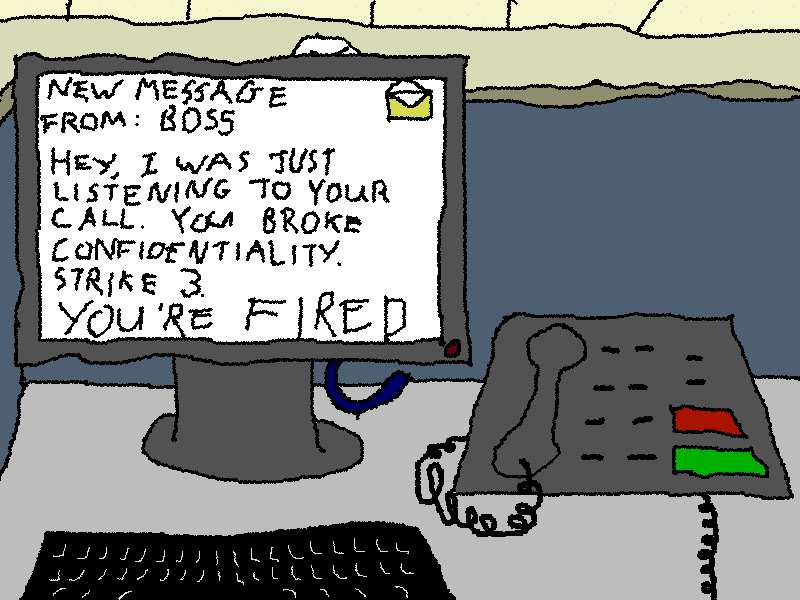 The game captures the experience of working at an entirely generic call centre—as specific as an average Dilbert cartoon. And Gallant didn’t name his employer to any media outlet, not until the Star did so first. Valerie Hauch, the reporter who covered the story for the Star also doesn’t know what information might be in the game that could concern the revenue agency, make the game seem “offensive and completely unacceptable,” or worry that “confidential taxpayer information” could have been compromised. “I have no idea why they brought up that reference to confidential tax information, there’s no reference to that in the game,” she told us. Playing the game itself makes it clear that it was no attempt to get fired. Apparently, if they try to turn that experience into a game, they do too.